We’ve all been there: a meeting that seems to go on and on, with no end in sight. You sit and stare at the clock, wondering if someone is ever going to get to the point. Whether the meeting was for an organization, a business or club you’re involved in doesn’t matter—what matters is that somewhere along the line the content went from fairly interesting to downright boring. The truth is, there’s an art in running an effective meeting, a learned skill that many professionals don’t realize. There’s a way to run a meeting that is engaging, productive and gets straight to the point. How can you learn this skill? We’ve got a few pointers to get you started. 1. Decide if a meeting is necessary. First and foremost, decide if a meeting is 100% necessary. Oftentimes, we can accomplish what needs to be done without a meeting, and simply through email or a messaging system. This can get the same results without having to take time out of people’s busy schedules. 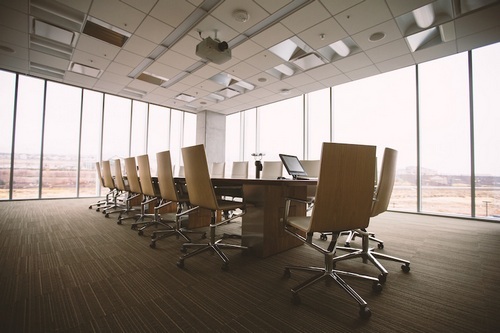 Weigh the pros and cons of having a meeting and make sure it is absolutely necessary. 2. Set a clear objective. A meeting can be much more engaging if those involved know the purpose for it. Be specific when deciding and inviting others to the meeting. For example, instead of “meeting to discuss how things are going with sales” you could “meet to discuss how sales are for this product, service or activity.” Having a purpose for the meeting will undoubtedly make it more productive. 3. Invite only those needed. Next, check your invitation list. Does everyone invited need to be there? If not, cut the people who aren’t necessary. This is being respectful of both your time and theirs, and will help the meeting stick closer to its purpose without any distractions. 4. Create an agenda and stick to it. Before the meeting starts, write out a quick agenda of things you want to go through. Then—and here’s the important part—stick to it! If possible, send out the agenda to participants beforehand so they know what to expect and can prepare any materials they need. During the meeting itself, avoid distractions and try to stay on task with the agenda as closely as possible. Sometimes things come up you didn’t expect, and that’s okay, but return to the agenda quickly. Participants will appreciate the meeting being on task, rather than wasting time. Speaking of time, start and end the meeting on time. People appreciate when you understand how valuable their time is. Be prompt when starting and make sure to schedule enough content to fill the span, but not too much that you run late. Another note: try to keep most meetings under an hour. Anything over, and participants will start to lag in engagement. 6. Close with an action plan. At the end of the meeting, be sure to close with an action plan for everyone. You made some decisions, so now what? What do the individuals need to get done in order for these goals to be accomplished? Outline specific responsibilities for everyone involved and then follow up to see how things are going later on. Email a memo to everyone highlighting what was decided, who is taking which tasks and when (if necessary) you will meet again to check in. No matter which organizations you’re involved in, meetings can be a bit tedious sometimes. Avoid meeting burnout by making sure your meetings are productive, efficient and effective. Try out some of these tips the next time you’re in charge of a meeting and see what results you get.